This weekend we had a wonderful two-and-a-half day workshop on Value-Added Forest Farming. It was held at the beautiful Montreat Conference Center in Black Mountain, NC. 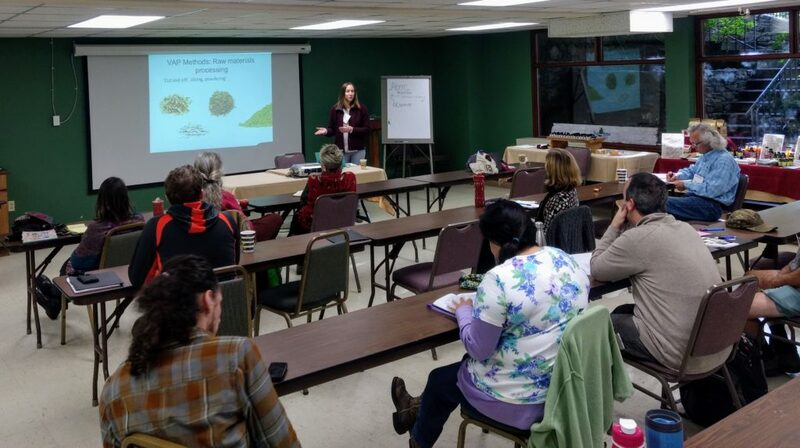 The workshop was organized by the Appalachian Beginning Forest Farmer Coalition; a multi-year, multi-organization project we are partners on. It was a small group event which allowed for lots of discussion and one-on-one time. We learned about tincture making, oil distillation, marketing, rules and regulations, food safety, value-added products, and more. We heard from successful growers and small manufacturers. It was an amazing event and many of the attendees asked, “when will the next event be held?” And after I posted about our event on Facebook, I got many comments saying “wish I had been there”, “didn’t know about this one”, and “when are you going to do it again”? Listening to a session on value-added forest products. So, take note. There are several more opportunities coming up in the near future for events that you might want to attend. At the Carolina Farm Stewardship Association, Sustainable Agriculture Conference in Durham on November 3-5, 2018, we will be holding two medicinal herb related events. 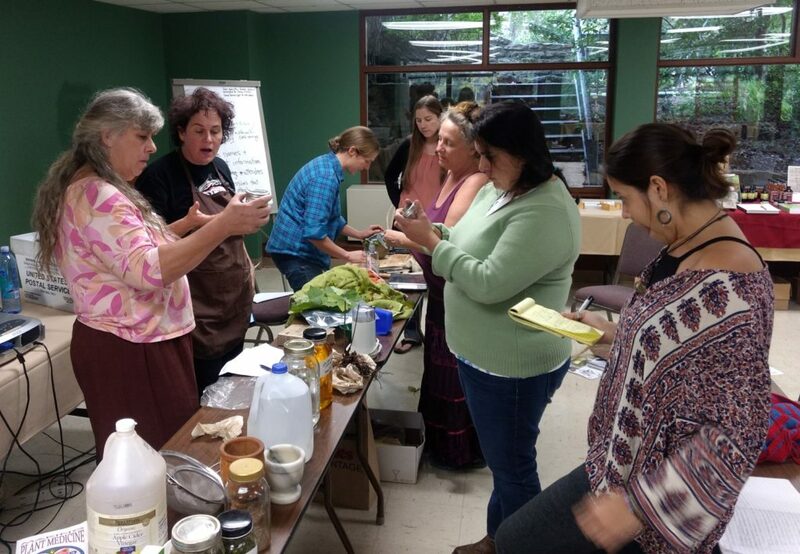 The first will be a day long Farming with Medicinal Herbs workshop on Friday, November 3. The workshop will be taught by Jeanine Davis, North Carolina State University, Department of Horticultural Science Associate Professor and Extension Specialist; Margaret Bloomquist, North Carolina State University, Department of Horticultural Science Research Assistant; Suki Roth, Herb Haven Herbalist; Lea Clayton, RiverSong Farm and GreenHeart Community Supported Apothecary Herbalist; and Sunshine Dawson, Maple Spring Gardens Herb Grower and Herbalist. The program will run from 8:30 a.m. – 5:30 p.m. and costs $85 for CFSA members, $100 for non-members. Here is the program description: Growing medicinal herbs commercially is very different from producing vegetables, fruit, and row crops. To be successful requires an understanding of how an herbalist approaches the plants they use. Join us for this special workshop taught by two herbalists, a successful commercial grower, and university researchers/extension personnel with decades of experience working with the industry. Topics to be covered include an in-depth overview of three medicinal herbs, value-added products you can make, a grower’s real life experiences, all aspects of production, GAPs, and selling your products. Lunch is included. On Saturday November 4th at that same event, Margaret Bloomquist and Jeanine Davis of the NC Alternative Crops and Organics Program at NC State will be offering a workshop on Forest Farming from 9:45 to 12:15. 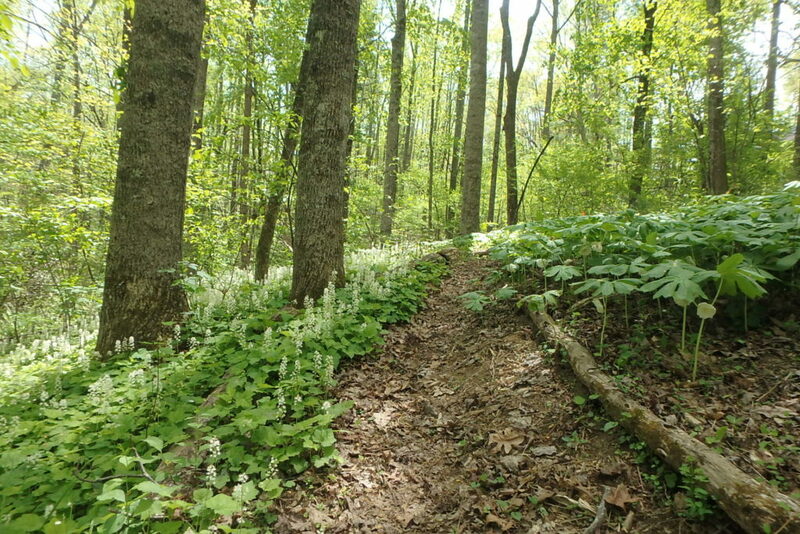 In this workshop we will cover the basics of growing medicinal herbs, ramps, and mushrooms in your woods. Marketing, economics, challenges, opportunities, resources, and networks will be described and discussed. We will complete the morning with a hands-on propagation workshop and everyone will get to take home a plant or two. Looking forward to seeing you at one or both of these events!